The combination of ultra modern furnishings with a colour palette to drool over has resulted in an all conquering office fitout for Global Red’s new Sydney office. 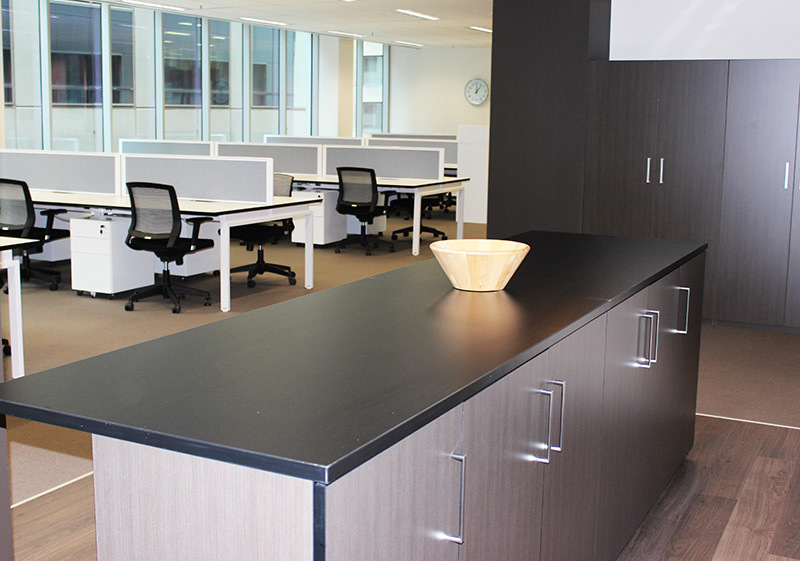 No detail has been overlooked by D&C projects, from the carefully selected products and finishes to the colour of the ABS edging on the worktops, upholstery on our Framework screens and melamine finishes. 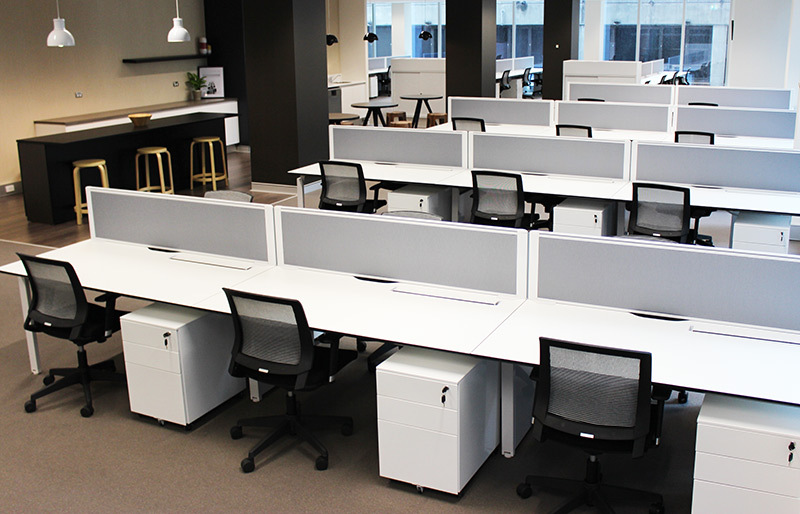 Our Benchwork workstations teamed with Vigo chairs and Globe pedestals looked brilliant throughout the office and allowed the clients to maximise space and become a catalyst for team work and idea sharing. 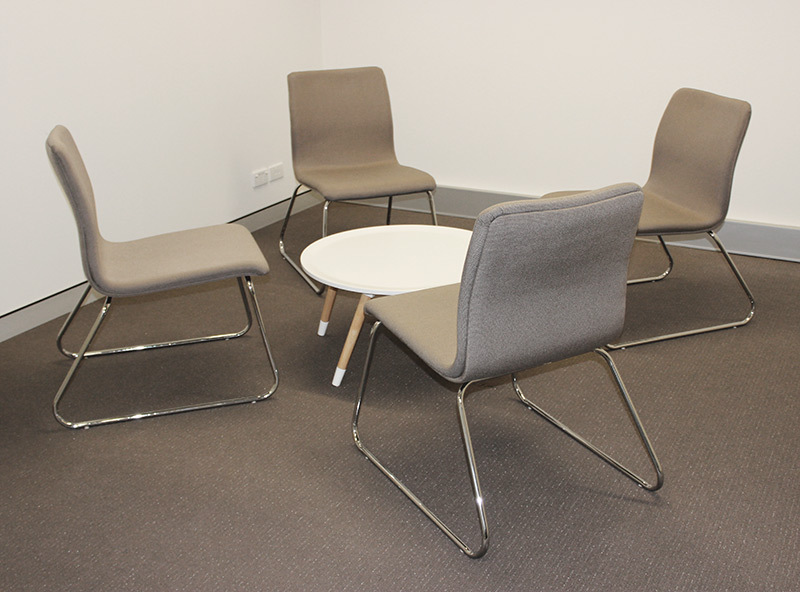 We also loved how our Dart tables were a the standout in the office-side kitchen and in the meeting rooms with Sax chairs. 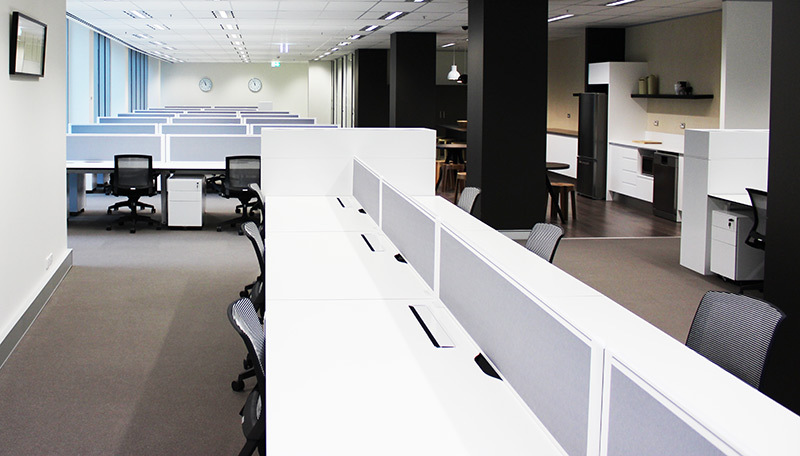 All details came together to create a practical, inviting, inspiring and contemporary workspace.